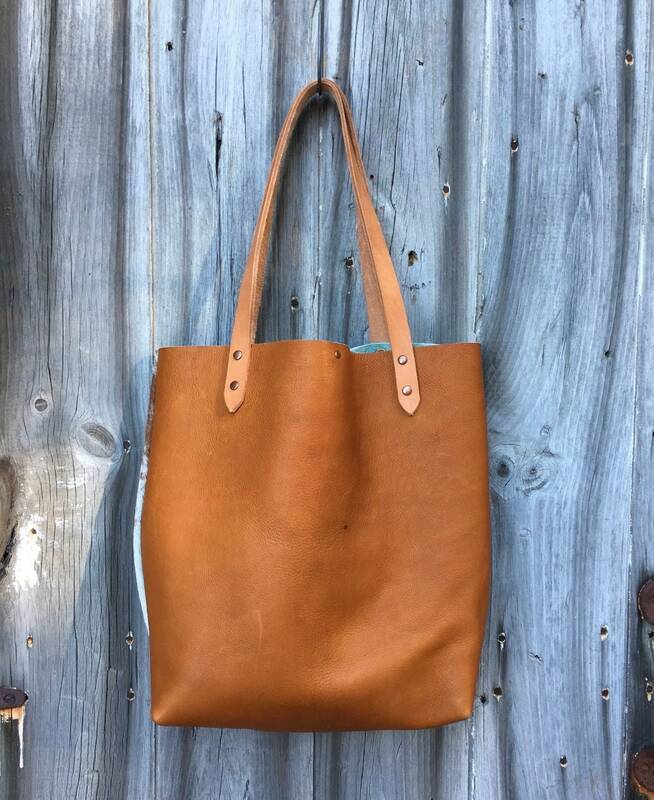 The material used to make this tote is a Hair On Cowhide and Solid Tan Cowhide Leather. 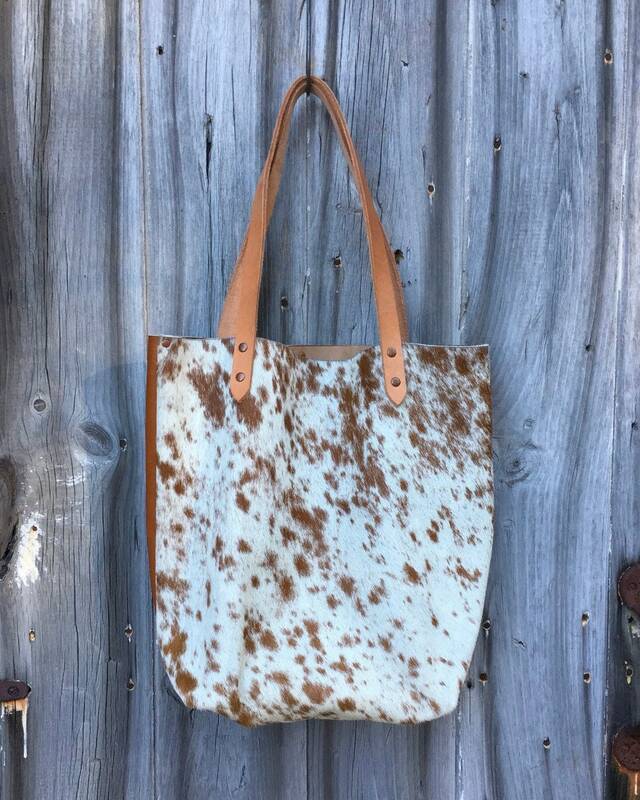 Each Cowhide pattern is one of a kind and varies per tote. 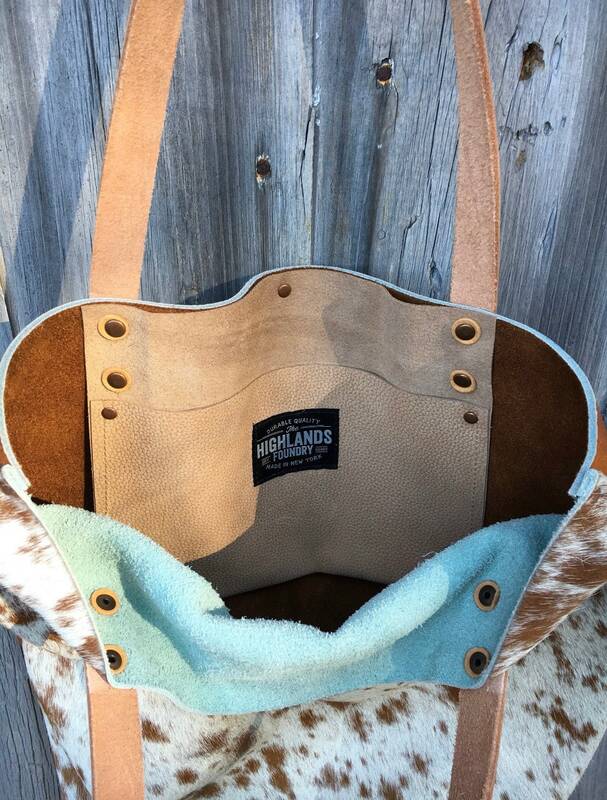 The Cowhide pattern is on the front of the tote and the solid tan leather is on the back. The tote is very durable and strong. There is an interior leather pocket that is secured with copper rivets. The leather straps and Vegetable Tanned 8oz. leather and will continue to patina and darken with age. They are secured on with antique copper rivets.